The lawsuit sought to require DuPont to create a fund for independent research into whether Teflon was harmful; to replace all existing Teflon coated cookware products or pay owners equivalent compensation; and to stop making, selling and distributing the coated products. A lawsuit against DuPont Co. claiming its nonstick Teflon cookware coating could pose health risks to users has been dropped. The lawsuit included 22 cases from about 15 states. All had been consolidated to be heard in U.S. District Court in Des Moines, Iowa. The lawsuit has been in the courts for four years. U.S. District Court Judge Ronald Longstaff signed a dismissal order on May 1. The case was dropped because if failed to convince the court it deserved class-action status. "The court determined that we did not meet the criteria to have it class certified," said Kim Baer, a Des Moines attorney representing plaintiffs from Arizona, Nebraska, Iowa and New Mexico. "Given the fact that we cannot proceed as a class-action, the cases will not be going forward." She said the court did not rule on the issue of whether the cookware is safe. A ruling denying the status was appealed to the 8th U.S. Circuit Court of Appeals, which refused to reconsider the lower court's ruling. Had it been granted, the lawsuit would have sought to compensate millions of owners of Teflon-coated cookware. Attorneys have estimated the case could have cost the Wilmington, Del.-based chemicals company $5 billion if it had been successful. The lawsuit claimed that Teflon concealed studies that showed a chemical used in the manufacturing process could release toxic particles when heated to normal cooking temperatures. The chemical, perflourooctanoic acid, called PFOA or C-8, has been determined by the Science Advisory Board for the U.S. Environmental Protection Agency to likely be a cancer-causing agent in humans. The company says no studies have ever shown Teflon could be toxic and continues to insist it's safe. "This decision supports our position that cookware coated with DuPont Teflon nonstick coatings is safe for its intended use," said Thomas L. Sager, senior vice president and general counsel, in a statement. "Teflon is a trusted brand and is used all over the world by millions of people every day." He said the company is committed to operate to the highest standards in product stewardship and ethical behavior its customers. 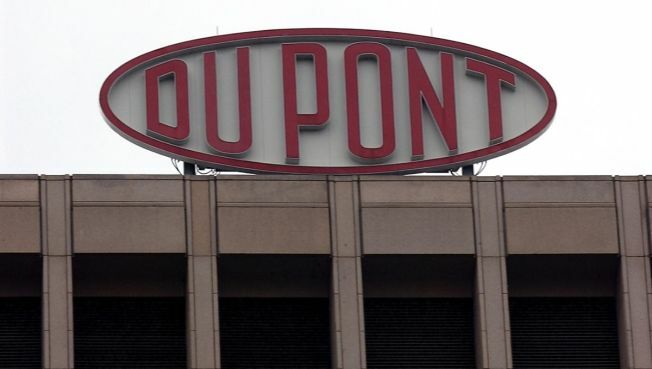 DuPont shares were trading 4 cents lower at $27.59 in the afternoon.